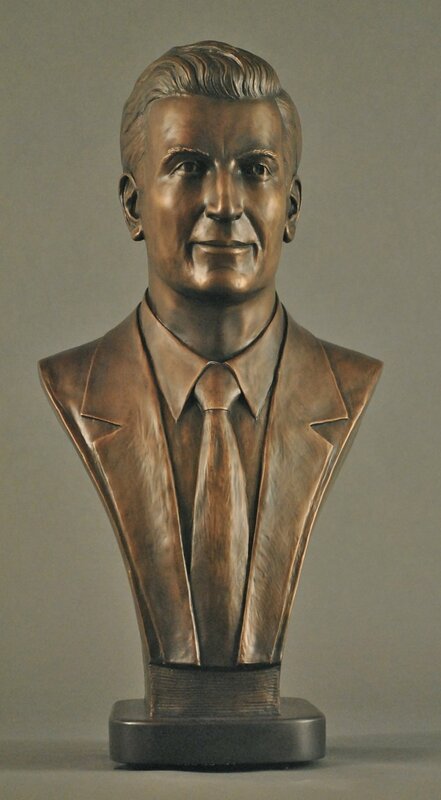 Sculpting this bronze portrait bust, I realized one of the nice things about my work is getting to meet wonderful people like Anthony. He's in his 80's now, but we decided to depict him at around 50, a classically handsome Italian man. I worked from a box full of old photos and had a great time getting to know him. We have a deep mutual interest in Greco-Italian history. Bronze. Bust prices on request.